Welcome to my blog, one of the stops on the Valentine blog hop – A time for Love, organized by Casi McLean. Follow the links to different blogs for some great reads, fun posts, and awesome prizes but before you do that, take a minute and read an excerpt from my newest novella, get a delicious winter recipe and a chance to win free eBooks. Valentine Day is near and with it the release day of Valentine Kisses, Inkspell’s anthology for all romantic souls out there. It’s a collection of diverse romance stories, from fantasy to suspsense, from sweet to steamy. Hearts must be broken is a bit darker than my other stories, but despite the mystery and suspense, there’s a sweet love story at its core. When a ghost from her past wants to take revenge on twenty-year-old Anais, the only on e she can turn to for help is Damon. But things quickly become complicated because he has feelings for her and she doesn’t want a relationship. His bitter words scattered across the pillow between them like glass shards, shimmering with the promise of heartache. The past few days, she’d felt closer to him than she’d been to anyone in much too long. The problem was it was too close. She couldn’t have him read the emotions off her face like sheet music. She couldn’t give him that much power over her. She’d given up too much, lost too many people in order to become free and independent, to waste it on a pair of soulful eyes and a few heartfelt words. Regardless of how good they made her feel. “No. It’s not that,” she said, and the lie slowly turned into the truth as she dug the hole in her heart, deepening it with every fib she uttered, uprooting everything which was decent and tender in her. He turned away and didn’t look at her even after she called his name twice. She leaned closer and wanted to kiss his cheek, but then he turned and her lips touched his. This is just one of the six stories. For a taste of the others, check out the anthology website or pre-order the book. The $0.99 offer will only last till end of February so go grab your copy! And while the stories warm up your soul, you’ll need something warm and delicious for your body. So here’s a recipe for a red kuri soup. Finely chop one onion and saute it in a bit of olive oil until it softens (around 5 min). Add one medium red kuri squash (works equally well with other winter squashes, such as butternut), peeled and diced, and saute for a couple of minutes. Add enough vegetable stock (or simply water) to cover the squash and a few sage leaves and bring to a boil. Simmer for about ten minutes or until the squash is soft. Remove the sage leaves and pure the squash in a food processor. Add half a cup of cream, salt, pepper and nutmeg, and mix well. Serve with a few drops of cream and croutons or pumpkin seeds. Eat warm and in good company! For a chance to win an ebook copy of either my snowboarding novella On the Slopes, road trip novel Letting Go, or roommate romance My Summer Roommate, enter the first Rafflecofter giveaway below. Plus, by commenting on my blog you can enter the blog hop wide Rafflecopter giveaway for two $50 Amazon gift certificates (enter below). So comment and enter! Thank you for joining me on this stop of the blog hop, now on to new adventures and discoveries! Spread the love, my friends! Here it is — the stunning cover for Valentine Kisses, an anthology of romance novellas, and a GIVEAWAY (look for it below). Naj has done phenomenal work yet again. You can pre-order the box set on Amazon.com, Amazon.co.uk, Amazon.com.au, Amazon.ca. Valentine’s Day is just around the corner and Aisha, who is still grieving for her ex boyfriend John is in for a surprise. 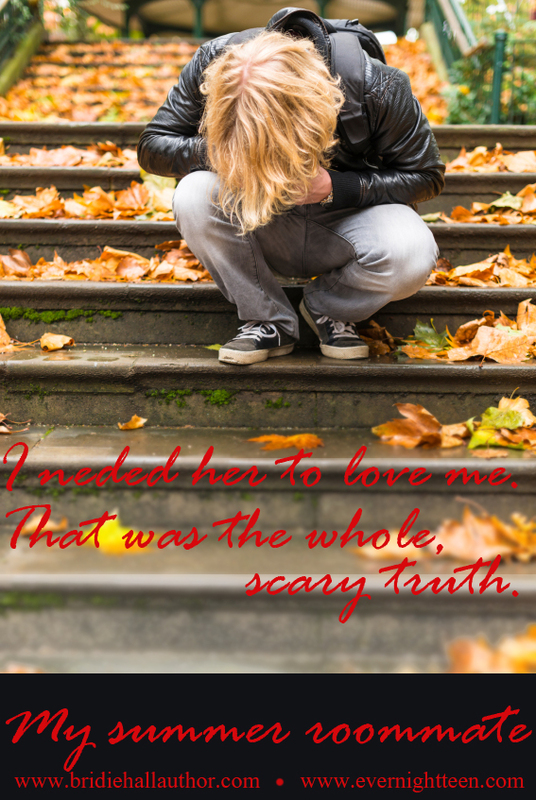 Liam, John’s bestfriend, who has had feelings for her but had to keep his feelings in check is ready to prove his love for her. But is she ready to risk her heart again? Shy librarian Charlie Bishop has spent every Valentine’s Day in the company of one of her beloved book boyfriends. Despite his many attempt to gain her attention, Charlie is absolutely certain she has nothing common with hunky construction worker Hank Carter. So how far will Hank have to go to prove to Charlie he’s better than any of her book boyfriends? But this is not all. Each story in the box set has an individual cover, and here’s the one for my story Hearts must be broken by Eva Talia. Giveaway ends November 10, 2014. The giveaway is over and here are the winners! If you’re on the list, you should have received an email from me by now. If you haven’t, drop me a line here. 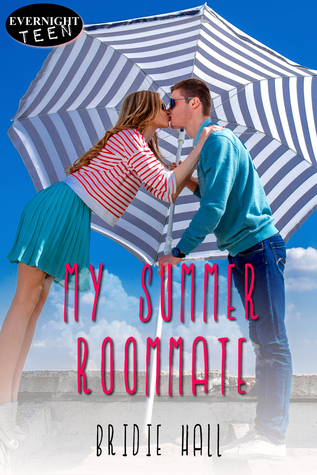 Expect another giveaway for print copies of My Summer Roommate on Goodreads soon. Also consider visiting Pretty Little Pages during their Fall Indie Fest from October 24th till November 16th. They’ll host plenty awesome Indie authors and also organize a giveaway of various goodies. Stop by for author interviews, guest posts, reviews etc. Fun times ahead, folks! This is the last day of my book tour. First, I’d like to share the buy links for the book as it’s now available in all the usual outlets. As for today’s tour stops, you can see the spotlights at You Gotta Read YA Reviews, A British Bookworm’s Blog and Harlie’s Books, and an interview with me at A Passion for Romance. You can enter the giveaway at all these blogs. Melissa Keir hosted a spotlight on My Summer Roommate yesterday, and I wrote a guest post for Fall Into Reading Reviews. Go read the posts and enter to wint the $50 GC for Amazon and other prizes. There are more tour stops coming up today, so visit Mary’s Cup of Tea, Storeybook Reviews, and Undercover Book Reviews for an author interview later today. First stop on my book tour + GIVEAWAY! 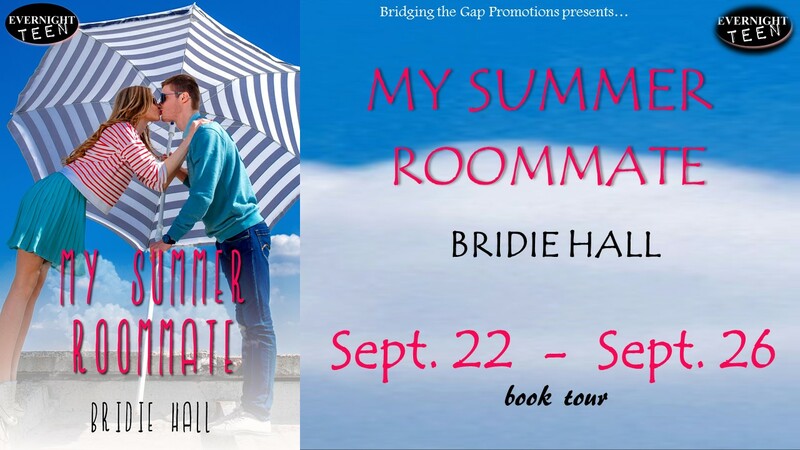 My first stop on my book tour for My Summer Roommate includes an author interview, excerpt and giveaway with a chance to win $50 GC for Amazon and other prizes. Hop on over to Reviews by Crystal and enter. Here’s your chance to win a free copy of Letting Go. Comment on my guest post on the Long and Short Review website to win an ebook copy, and enter the rafflecopter to win a $100 GC for Amazon or Barnes&Noble. Read about Harper and Isabelle and how Chloe helped them realize they had feelings for each other. In just a few weeks, you’ll be able to read how Chloe is a far less successful matchmaker when it comes to her own love life. In My Summer Roommate, it’s Harper who gives her love advice. Shocking, isn’t it? Two 5* reviews have already come in for My Summer Roommate. I’m so grateful for my readers! I love you all.